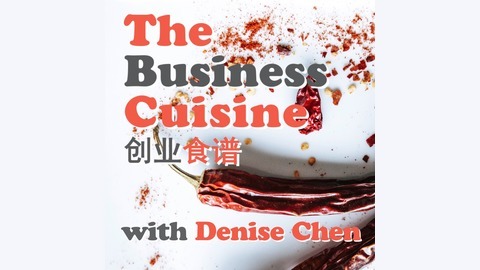 TBC podcast is a weekly show featuring entrepreneurship&innovation in China's Food and Beverage business. 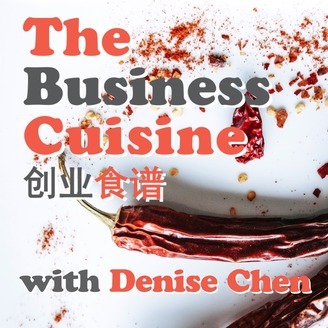 Each week, I will interview the most inspiring entrepreneurs, innovators and influencers within and beyond the F&B industry, covering topics in culture, legal protection, marketing, government regulations etc. The show is designed to educate, inspire and connect. And to help aspiring entrepreneurs and small-to-medium business owners just like you to learn how to start, run, and grow your Food and Beverage business here on the ground in China. The show is structured starting with guests share their connection to China, China Business Review, Entrepreneurial Journey Highlights, Highest and Lowest Moments, Food for Thought, and lastly, China Fun Facts. At the end of each episode, i will ask all guests to share one piece of advice if they had to start all over again. Join me for a weekly all-you-can-eat-and-drink business buffet from China. Let’s learn and grow together. In this episode, we are going to talk about the benefits of PR for the F&B industry. The F&B industry is one of a kind to everyone and all over the world – for the fact that we all have to eat and drink every day, especially in the modern society where people generally are more cautious about their health and wellbeing, and this made the food and beverage sector a long lasting hot topic worldwide. In the past, F&B is seen as a lucrative industry to be part of, as long as you don’t poison people, there will always be paying customers. However, in this new economy, as we strive to live longer and healthier, we tend to be more selective of what we put into our stomach. We read reviews and news before trying a new restaurant, we ask around before making a decision to buy. Therefore, for some that go into the F&B business to make quick money, many died after just a year or less of operation. As a business owner, you may have great product, but remember, nowadays the consumers are more sophisticated, eating or drinking out is not simply just because they are hungry or thirsty, it’s becoming a lifestyle in a way to fulfill their either professional or personal needs. So there has to be more than the product itself. That’s why in the F&B sector, we see more creative marketing activities than ever. In today’s session, I am sharing 4 PR tips to help you stay ahead in the F&B industry.